One of the most popular sunglass styles in history, the Ray-ban Wayfarer has been imitated by a great many brands and labels, but for those who appreciate the look of truly iconic and classic sunglasses that stand the test of time, there’s nothing like the Original Wayfarer. 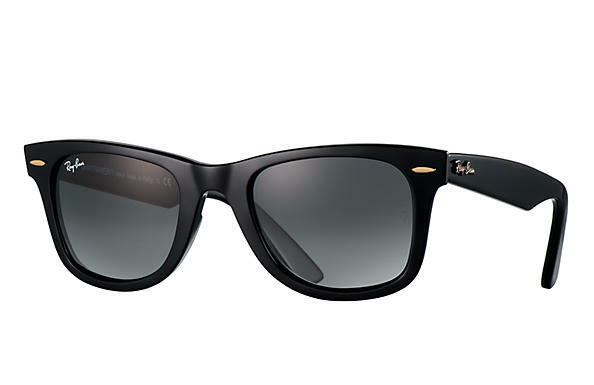 First released in 1956, the Ray-Ban Wayfarer became a symbol of the era due to its bold and and distinctive eyewear design. One of the first sunglass styles to move away from metal to molded plastic, the design became as famous and recognizable as other innovations of the decade like saddle shoes, Eames chairs and Cadillac tail fins. Originally created to offer a masculine look, the Wayfarer also became a top seller with women seeking a brash and slightly dangerous look. However, by the end of the 1960s through the early 1980s, the design waned in popularity until Tom Cruise was seen wearing the Ray-Ban Wayfarer in the 1983 movie, “Risky Business.” This sparked an immediate comeback, and since then, Wayfarer sunglasses have regained status as a fashion icon and continue to play a major role in both men and women’s fashion. Our exclusive Ray-Ban collection is hand-selected to offer an eclectic mix of classic styles and the latest looks by this eternally cool eyewear brand, including both the Original Wayfarer Classic and the New Wayfarer Classic featuring slightly softer edges and curves. 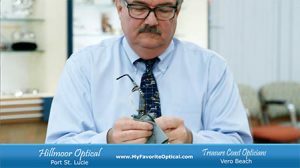 Stop by and see us at Hillmoor Optical in Port St. Lucie, or visit our sister store Treasure Coast Opticians in Vero Beach, and try on your style!